Always be publicly open when working with children & vulnerable adults. Avoid situations where you and an individual are completely unobserved. Rugby is a physical game. Situations will occur when in order to teach or coach certain techniques, it may be necessary to make physical contact with the player. If this is the case, tell the player beforehand and ask them if they have any objections. Coaches must ensure that an adequate number of coaching staff or assistants are present for the activity or session that is planned, and that all aspects of first aid and other safety precautions are met. If it is necessary to contact players via text message, email or social media then this should be sent where possible as a group message, and for email the BCC option should always be used. If it is necessary to contact a player individually then that player’s parents, legal guardian or another club coach or representative must also be included or copied in. Coaches are discouraged from being friends with players on social media platforms such as facebook etc. If it is necessary to supervise groups in changing rooms, always ensure that adults work in pairs, and that gender is appropriate. Where mixed teams compete away from home, they should always be accompanied by, at least one male and one female adult. Volunteers and professionals must respect the rights, dignity and worth of all and treat everyone with equality. Coaches must place the well-being and safety of the player above performance development or the activity or game at hand. Coaches and assistants must hold appropriate RFU coaching awards and a current DBS certificate. Coaches must ensure that the activities which they direct or advocate are appropriate to the age, maturity and ability of the players. Coaches should always promote the positive aspects of their sport (eg. fair play), and never condone law or rule violations or the use of prohibited substances. Coaches must consistently display high standards of personal behaviour and appearance. Coaches should never overtly criticise players or use language or actions which may cause the player to lose self esteem or confidence. Avoid overplaying of players (particularly talented players). All players need and deserve equal opportunity to play. Remember that children play for fun and enjoyment and that winning is only a part of it. Ensure that contact skills are taught in a safe, secure manner paying due regard to the physical development of young players. Never allow young players to train or play when injured. a. Spend time alone with children or vulnerable adults away from others. b. Take children or vulnerable adults alone on car journeys, however short the journey. In emergency situations or if otherwise unavoidable, the child must only sit in the rear of the vehicle and directly behind the driver. c. Take children or vulnerable adults to your home. If it should arise that such situations are unavoidable they should only take place with the full knowledge and consent of someone in charge in the club/governing body and/or a person with parental responsibility for the player. If you accidentally hurt a player, or cause distress in any manner, or the player appears to respond in a sexual manner to your actions, or misunderstands or misinterprets something you have done, report the incident to the Club Safeguarding Officer straight away, supported by a brief written report of the incident as soon as possible. If you have any concerns or suspicions regarding the welfare of any player or the conduct or actions of another coach, assistant, volunteer, player or other club member then please bring this to the attention of your club safeguarding officer. All conversations will be treated in the strictest confidence and with respect to your right to anonymity. Any player may, upon reaching their 17th birthday, ask to be considered to play adult rugby. In accordance with RFU Regulation 15 (Regulation 15.3.7) and Safeguarding Regulations (Regulation 21), the following procedures must be strictly observed when considering this. At no stage will this protocol be rushed through in order to help fill gaps in senior teams. 1. Any age qualifying player wishing to be considered for adult rugby should make this known to either their Head Coach, Youth Chairman or Director of Rugby, who will make arrangements for the player to be assessed for physical and developmental suitability at the earliest available opportunity. This assessment must be carried out by a minimum Level 2 coach (Level 1 coaches have not received the training required to assess a player’s ability to play at different levels). The ultimate consideration must be for the safety and welfare of the player and those with whom the player will be playing. 2. Upon satisfactory clearance for suitability, the player will be required to complete an RFU Playing Adult Rugby form (15.3.7), which must be signed by their parent or guardian and the level 2 coach who carried out the physical assessment, and then returned to the Club Safeguarding Officer. 3. Once the completed and signed Playing Adult Rugby form has been returned, the Club safeguarding Officer will notify the Director of Rugby that the player is available for team selection. Playing Adult Rugby forms will be held on file by the Club Safeguarding Officer and kept for a minimum period of twelve months. 4. It is strictly forbidden for any player under the age of 18 to play in a front row position in an adult match. The team captain fielding the player will be ultimately responsible for ensuring this does not happen. 5. It is the responsibility of the team captain fielding the player to assign the player a suitable ‘mentor’ or ‘buddy’ to look after the player during adult rugby matches. The mentor should ensure that the player is adequately coping with the game and discuss any issues afterwards. Any concerns should be referred to the Senior Team Captain, Club Safeguarding Officer, Youth Chairman or Director of Rugby. 6. The player must be introduced to adult games gradually, starting off with short passages of play, followed by half a game etc. If the player requests to be removed from play at any time, this should be carried out with immediate effect and without question. The player must not feel pressured or coerced into playing at any time or in a position with which they are uncomfortable. 7. The player must be continually monitored to ensure that they are capable of playing adult rugby and not at increased risk of injury. Any concerns must be immediately referred to the Youth Chairman or Club Safeguarding Officer who may request that the permission to play adult rugby is revoked and the player is re-assessed. Each age group will have at least one designated, qualified first aid provider. First aid kits provided as per RFU guidelines, at least one per age group. Each kit bag to have laminated kit stock list, to enable the maintenance of sufficient stock levels. Additional ‘emergency’ first aid kit to be kept in clubhouse with easy access. All coaches and first-aiders to be kept appraised of RFU guidelines on concussion and suspected spinal injury. All first aid kit bags to have laminated copy of RFU Spinal Immobilisation Flow Chart for a Conscious Casualty. “In-loco parentis” permission to be obtained for all mini/junior players annually as part of registration process. Minis section: parent to always be present on touch-line, or, in cases where a parent cannot be present, that parent to have appointed another parent who knows the child, to act as guardian for the duration of the activity. In such cases, the guardian must be made aware of any medical history or allergies. In all cases of accident or injury, the team coach or manager must fully complete a BHRFC Accident Report Form which should then be passed to the Club Safeguarding Officer, who will retain a copy on file. All first aiders to have pre-printed sheets of post-concussion advice to hand to players/parents. All first aiders to be RFU DBS certified. All first aiders to be registered on club database and responsible for keeping own qualifications up-to-date. No game or training session is to be commenced without first ensuring that a first aider is available, and that ambulance access is secured. Any injury that results in admission to hospital as an in-patient after the game/training has finished, and is game or training related is to be reported to the Sports Injury Administrator. Any head or neck injury that prevents a player from playing or training for a period of 8 weeks or longer is to be reported to the Sports Injury Administrator. Regular update training and supplementary training to be provided/sought for all first aiders. In all cases of head injury or suspected head injury, the player will immediately be removed from play and BHRFC will invoke the Graduated Return to Play (GRTP) protocol, in accordance with RFU advice and guidelines. This procedure is absolutely non-negotiable and not subject to pitch-side or any other medical examination. The player, or in the case of children (under 18) or vulnerable adults, their parent/guardian/carer will be issued with a Head Injury Notice detailing the incident and outlining the GRTP procedure. The player or parent/guardian/carer will be required to provide signed surety to the BHRFC Safeguarding Officer that all phases of the GRTP protocol, including clearance from a doctor, have been observed before the player will be permitted to resume normal rugby activity at BHRFC. All incidents of confirmed head injury will be reported in writing to the Sussex RFU Safeguarding Officer. 1. Adults and children (Under 18) must never use the same facilities to shower or change at the same time. Any seventeen year old players for whom the club holds a completed ‘Playing Adult Rugby Form (15.3.7)’ will be treated as adults for the purposes of showering and changing.. Adults must only enter changing rooms being used by children when absolutely necessary due to accident, injury, illness or extreme poor behaviour. Adults must only ever enter the changing rooms by themselves in an emergency and if waiting for another adult to be present could result in harm to a child or vulnerable adult. If children or vulnerable adults need supervising in changing rooms, or coaches or managers need to carry out a range of tasks in that environment this must involve two suitably vetted (RFU issued DBS) adults of the same gender as the children or vulnerable adults. For mixed gender activities separate facilities should be made available. If the same facilities must be used by adults and children or vulnerable adults on the same day, a clear timetable should be established to ensure that changing /showering facilities are not shared by adults and children at the same time. No pressure should be placed on children or vulnerable adults who may feel uncomfortable changing or showering with others, if this is the case they should be allowed to shower and change at home if requested. Where a disability requires significant support from a parent or carer, the person concerned and their parents must decide how they should be assisted to change or shower. Before any assistance is offered by another person, appropriate consent should be given by a parent. Mobile phones, cameras, video cameras and other image capturing devices are strictly not permitted in changing rooms unless being used to make an emergency telephone call. Any breach or suspected breach of the above policy should be reported urgently to the Club Safeguarding Officer. This policy is designed to provide helpful, practical advice to members in respect of using social media effectively and positively. As a club we encourage the responsible use of social media. Whilst we are aware that numerous forms of social media are available, please note that Burgess Hill Rugby Club will only endorse Facebook and Twitter as we are unable to monitor other streams. We request that before setting up any new social media site, account or group that will be in any way connected to Burgess Hill Rugby Club, permission is first obtained from the club committee. Such permission will not unreasonably be refused. Burgess Hill Rugby Club recognises that we live in a society that promotes free speech and freedom of expression, but we would caution that anything that you write has the potential to enter the public domain. Consequently, we would request that all social media commentary relating to Burgess Hill Rugby Club is of a positive nature – please think carefully before making comments that may lead to unintended consequences. Use of photographs or video images should only be used with the express permission of those pictured or included in the footage. Any such use of static or video images should be ‘age aware’ and the posting of images of children (under 18) or vulnerable adults should be restricted to closed or secret groups only, where either a password or group membership is required for access. It is expressly forbidden for the names or other personal details of any child or vulnerable adult to be disclosed in any public forum. Any images used should only be done so with the express permission of the image owner. Any grievance, criticism or resentment surrounding the club or its’ members should be directed in person to the individual or respective managers or coaches. Matters of a more serious or contentious nature should be discussed with the Club’s Committee. We would request that you refrain from any negative comments about, players, parents, coaches, managers, referees, clubs, etc. within social media. If a negative comment is made by a third party, we would ask you not to comment on it either way, or to escalate an issue. Please avoid gossip, slanderous comments, disruptive comments, threatening comments, and anything that could be construed as abusive, harassing, obscene, libellous, or an invasion of another’s privacy (this includes text, audio, photographs and video). Whilst the club realises that a certain amount of ‘banter’ may take place on some forums, we would request that any language used is moderated, please remember that these forums can be viewed by a range of age groups from both genders. Ensure that all comments or postings comply with the BHRFC Anti-Bullying Policy and must not make any derogatory, defamatory, rude, threatening or inappropriate comments about the club, or anyone at or connected with the club or those clubs that it plays or is otherwise associated with. This includes referees and other club members. Serious instances of irresponsible use of social media platforms associated with or involving Burgess Hill Rugby Club will be referred to the Club Executive Committee, and disciplinary measures considered. Any action taken by the committee will be judged on a case by case basis. The use of the club’s name, logo, or any other published material without written prior permission from the Club Executive Committee. This applies to any published material including the internet or other written documentation. The posting of any communication, or images, which may link the club to any form of illegal conduct or which may damage the reputation of the club in any way. This includes comments that are threatening, abusive, insulting or by proxy. The disclosure of confidential, club-sensitive information, or the disclosure of information/images that could compromise the security of the club. The posting or disclosure of the personal details of any individual or the naming of any child (Under 18) or vulnerable adult. Burgess Hill Rugby Club requests that you use social media outlets positively, be responsible, share your achievements, celebrate success, be gracious in defeat, be honest, and enjoy communicating and interacting. For the purpose of this policy a volunteer is any adult or young person who volunteers to serve the club on the Committee or in an Age Group and includes all officers, managers, coaches, coordinators, first aiders, safeguarding assistants and those who help on a regular basis in Age groups with other tasks such as organising social events, managing fixtures, fundraising or parent liaison. Volunteers seeking to take part in regulated activities with children are required to obtain and then maintain as current (less than three years old) a DBS certificate through the RFU. Appointments will not be confirmed until this is in place and volunteers must only work with children in the interim under the strict direct supervision of a suitably qualified person. The request for a DBS certificate should be completed jointly by the club and the proposed volunteer within a maximum of four weeks of applying to the club for appointment as a volunteer. If the DBS certificate has not been issued within twelve weeks of application, the situation will be reviewed by the Club Safeguarding Officer and the volunteer may be restricted from working with children until the disclosure arrives. If the disclosure reveals any information that is deemed to be ‘of concern’ this will be assessed by the RFU and any recruitment decision they make is binding on the Club. Details of the restrictive issue will not be made known to the Club. While the recruitment of volunteers is often initiated within individual Age Groups, recruitment decisions about first appointment as a volunteer and the approval of appointments to specific posts is a Club function exercised by the Mini & Youth section. Existing volunteers taking on a new post need approval but do not need to complete the full recruitment process. If a volunteer switches from an unregulated to a regulated role, an Enhanced DBS Disclosure will be required before the new appointment is confirmed. Potential volunteers can apply directly to the Club without going through an Age Group. Complete a BHRFC Mini & Youth Volunteer Application Form and send this to the Club Safeguarding Officer. If applying to take part in any activity that is regulated for DBS purposes, to obtain an RFU Enhanced DBS Disclosure and undertake to maintain it throughout the period of involvement with the club. This process will include an ID check conducted by the Club Safeguarding Officer. If applying to take part only in unregulated activity be prepared to complete a similar ID check with the Club Safeguarding Officer. If having been a member of Burgess Hill RFC for less than a year should provide the names and addresses of two people (other than family or close friends) who can provide an independent reference on their suitability to work with children. These will be followed up by the Club Safeguarding Officer. If having been a member of Burgess Hill RFC for a year or more an applicant should either provide references (as above) or provide two written recommendations from an existing Club Lead Coach, an Age Group Coordinator, or a member of the Club Committee. Candidates will normally be asked to have an informal meeting with the Club Safeguarding Officer, who will then make a recommendation to the appointment panel. The appointment of coaches must be approved by either the Club Chairman or the Director of Rugby AND the Youth Development Chairman. The appointment of all other volunteers must be approved by the Youth Development Chairman and the Club Safeguarding Officer. The official appointment of Coaches and Team Coordinators is confirmed at the first Mini & Youth meeting after the Club AGM. emotional (e.g. isolating an individual from activities). A coach who adopts a win at all costs philosophy. A player who intimidates others. An official who is over officious. The Data Protection Act 1998 regulates the processing of information relating to individuals, this includes the obtaining, holding, using or disclosing of such information and covers computerised records as well as a manual filling system and card indexes. Burgess Hill RFC (“BHRFC”) will hold the minimum personal information necessary to enable it to perform its function. All such information is confidential and needs to be treated with care to comply with this law. 1. Members will be made aware of the reasons why we require personal information to be collected and have consented to its collection and use. This will be done by a statement printed on any document BHRFC requires members to provide any personal information. 2. All personal information relating to individuals will be fairly and lawfully processed and used in maintaining an accurate data base of members’ categories, including numbers, for both senior, youth members and whether male or female. This information will only be used to further the aims and objectives of BHRFC in maintaining a members’ data base for, communicating with all members and having access to any relevant medical information that may be required in the event of an emergency situation and for no other reason. 3. This information will be processed for limited purposes as outlined above. 4. All information held will be adequate, relevant but not excessive. 5. Information will be as accurate and as up to date as possible. 6. Information will only be kept as necessary. Removed and destroyed when a member(s) leaves the club for any reason. A member who has ceased being an active member can request that their contact details remain on the club’s database so that they can receive any relevant club information. 7. Personal information will be processed in accordance with the individual’s rights. 8. All personal information on members of the club will be dealt with professionally and kept subject to appropriate security measures as outlined in point 9 below. 9. This includes all personal data that is stored electronically which, where practically possible should be either encrypted or if stored on a personal computer MUST be PASSWORD PROTECTED. Data held on paper records (team managers’ files containing telephone numbers, medical conditions and allergies of players etc.) MUST be kept secure at all times and only divulged to those persons who have a need to know. 10. All personal data held by the club on a member must and will be freely accessible for that member to view as outlined below. 1.Burgess Hill RFC acknowledges its responsibility to safeguard the welfare of all children and vulnerable adults involved in the club from harm. 2.Burgess Hill RFC confirms that it adheres to the RFU Safeguarding Policy and the procedures, practices and guidelines and endorse and adopt the Policy Statement contained in that document. 3.A child is anyone under the age of 18 engaged in any rugby union activity. However, where a 17 year old male player is playing in the adult game it is essential that every reasonable precaution is taken to ensure his safety and wellbeing are protected. 5.Burgess Hill RFC recognises that all children have the right to participate in sport in a safe, positive and enjoyable environment whilst at the same time being protected from abuse, neglect, harm and poor practice. Burgess Hill RFC recognises that this is the responsibility of everyone involved, in whatever capacity, at the club. 6.Burgess Hill RFC will implement and comply with the RFU Code of Conduct and the Codes of Conduct for Coaches, Spectators and Officials as appropriate. Burgess Hill RFC will ensure its spectators, parents, members and officials are all aware of and have accepted the Club Photographic Policy as set out in the club registration pack and on the website. 7.Burgess Hill RFC will endeavour to comply with the Guidance for Websites as set out by the RFU. 8.If you witness or are aware of an incident where the welfare of a child or vulnerable adult has been put at risk you must in the first instance inform the Club Safeguarding Officer. They will then inform the CB Safeguarding Manager and the RFU Safeguarding Executive. If an incident involves the Club Safeguarding Officer you should inform any senior club official and either the CB Safeguarding Manager or the RFU Safeguarding Executive. Please click on any of the links below to see a copy of the relevant codes of conduct. Whether playing, training or watching a game of rugby the way you behave reflects, YOU, YOUR TEAM and BURGESS HILL RUGBY FOOTBALL CLUB to everyone watching. The following Codes are designed to promote the elements of enjoyment and satisfaction, the contribution that can be made by non-players and to remind all people involved with the game that there are certain standards of fair play and conduct that should be maintained at all times. 1. Play because you want to. 3. Recognise good play within your team. 4. Take training sessions seriously. 5. Play to the rules. 6. Never abuse another team member. 7. Do not argue with the coach or referees. 8. Recognise the effort by those coaching you. 9. Feel confident in being able to discuss your rugby concerns with your coach. 10. Understand commitment to your team members. 11. Be a sportsperson win or lose. 12. Treat players as you would wish to be treated. 13. Play with and for your teammates. 14. Members should keep to agreed timings for training, matches and competitions or inform their coach or team manager if they are unable to attend or are going to be late. 15. Junior members are not allowed to smoke, consume alcohol or drugs of any kind on club premises or whilst representing the club. 1. Coaches will recognise the worth of every player. 2. Recognise the importance of fun and enjoyment when coaching young players. Most learning is achieved through ‘doing’. 3. The needs of the players will be considered during the rugby session. 4. Coaches will provide a positive role model for the players- think what this implies. 5. Winning and losing will be kept in perspective and coaches will teach and encourage their players to remember this. 6. Respect will be shown to referees and the decisions they make (remember it could be you refereeing next week) and their players will be encouraged to follow this lead. 7. Coaches will offer positive feedback to players and only provide constructive criticism. Correct and appropriate play will be offered to each age group. 8. Children will be coached in a safe environment – adequate equipment, facilities and first aid equipment readily at hand. 9. Coaches will ensure all players are played and their worth, despite ability, celebrated and encouraged. 10. No player will be allowed to play if injured. 11. Coaches will ensure appropriate supervision is given to players at all times, home or away. 12. Weather conditions will be monitored and the effects on players will be considered. Recognise that young players should never be exposed to extremes of heat, cold or unacceptable risk of injury. Coaches will ensure that their knowledge and coaching strategies are up to date and in line with RFU philosophy. 13. Training and matches will be organised and develop through the season according to the age ranges. 15. Coaches will abide by the ‘Safeguarding procedures’ of the club. 16. Coaches will be aware of and abide by the RFU’s procedures for residential tours. BHRFC CODE OF CONDUCT Coaches working with young players up to the age of 12 must follow the guidelines laid down by the RFU Continuum. Coaches working with young players at age 13+ must be aware of the Under 19 and Under 15 law variations. 1. Act as positive role models to all young players. 2. Respect the clubs, referees and coaches decisions. REMEMBER, they are volunteers providing an opportunity for youngsters to play rugby. 3. Remember to support the player’s performance irrespective of which team they play for. 4. Never shout abuse towards players. If you do want to shout make sure it is ‘for’ not ‘at’ the players. 5. Encourage all children despite ability or team. 6. Remember children play for their enjoyment not yours. 8. Respect match official’s decisions. NEVER VERBALLY ABUSE PLAYERS, MATCH OFFICIALS, FELLOW SPECTATORS OR COACHES. Burgess Hill Rugby Football Club (“BHRFC”) as an organisation seeks to ensure that individual contributions are encouraged and valued, recognising the significant benefits that can be achieved from a diverse membership. 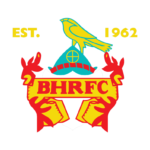 BHRFC operates a policy of providing equal opportunities in all aspects of membership including playing, volunteering and administration, whatever the colour, race, religion, belief, ethnic or national origin, gender, sexual orientation, marital status, age or disability of the member, having regard to the individual’s aptitudes and abilities and requirements. BHRFC is opposed to all forms of unlawful and unfair discrimination. All policies and procedures within BHRFC are based on best practice and ensure that the organisation operates at all times within a legal framework. Policies are designed to meet the overall needs of the organisation and to ensure that individuals are treated fairly, equitably and with respect. BHRFC will take every possible step to ensure that decisions based on membership, selection for games, volunteering and administration and every other aspect of running a rugby club are justifiable and based solely on objective criteria. Our aim is to create an environment conducive to the achievement of BHRFC’s aims, and reflecting its priorities. Continuous review of policies are undertaken to improve practice, and to maintain BHRFC’s position as a well respected community organisation. An injury which results in the player being admitted to a hospital (this does not include those that attend an accident and emergency department and are allowed home from there). Provide immediate first aid and arrange transport by ambulance to the hospital. A club representative must phone the Sports Injuries Administrator Helpline (0800 298 0102), as soon as the seriousness of the player’s condition is confirmed and certainly within 48 hours of the game or training session in which the injury occurred. Please have a pen and paper ready, along with details of the incident. Out of working hours there will be a recorded message that provides contact details of the Injured Player Welfare Officer (IPWO). The IPWO will then establish contact with the club and player or their family in order to confirm the injury, initiate the Pastoral Support Programme, and collect additional information about the injury. Record witness statements. Where a potential insurance or personal injury claim may arise, clubs and schools are advised to retain on file witness statements. These statements must confine themselves to the facts and not include opinion or hearsay, or apportion or infer blame. They must be signed and dated by the person making them.